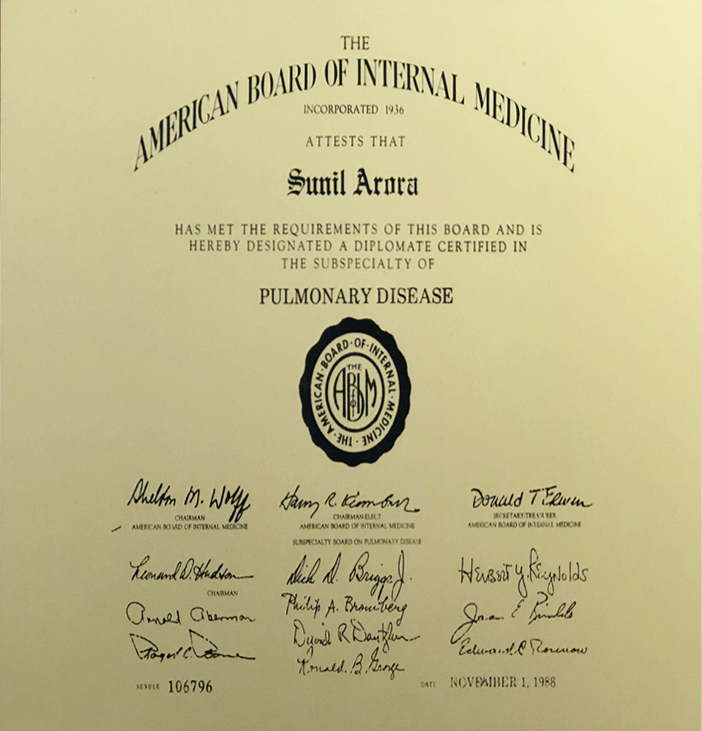 Home » Sunil Arora M.D. Accepts: Medicare, Medi-Cal, PPOs, and most other insurance plans. Dr. Sunil Arora believes that each patient is a unique individual with their own special needs and concerns. Dr. Sunil Arora is committed to high-quality care personalized to your needs. Your health and satisfaction is his goal. Illness has three components: Physical, mental and spiritual. By addressing all three components, that is, physical, mental and spiritual: maximum and rapid healing occurs. Dr. Arora believes that company is stronger than will power. It is important to be around people that inspire and motivate us. Prayer is a very important part of the healing process. Forgiveness helps in healing ourselves. What we do to others, we do to ourselves. We are all connected. 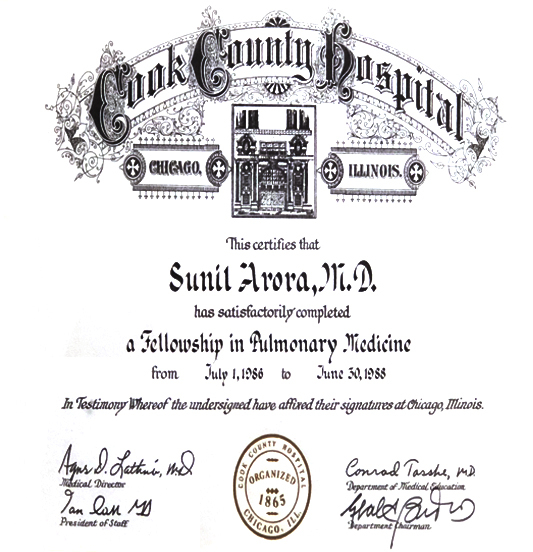 Two oaths that i endeavor to follow: Hippocratic Oath – “Do no Harm” – as well as the Oath of Maimonides, the 12th century physician, philosopher and Torah scholar. Oath of Maimonides: “The eternal providence has appointed me to watch over the life and health of Thy creatures. May the love for my art actuate me at all times; may neither avarice nor miserliness, nor thirst for glory or for a great reputation engage my mind”. Hurt: We can hurt each other by our thoughts, words and actions. This hurt causes negative energy to be stored up. This negative energy crystallizes into physical, mental and spiritual disease. In my medical practice, I find that this is a very common scenario. We can dissipate this negative energy by forgiveness. Forgiving others for hurting us with their thoughts, words or actions. Forgiving ourselves for hurting others with our thoughts, words or actions. 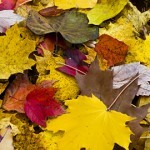 Forgiving ourselves for hurting ourself with our thoughts, words or actions. Forgiving leads to dissipation of the hurt and the accompanying negative energy. This leads to healing of physical, mental and spiritual disease. 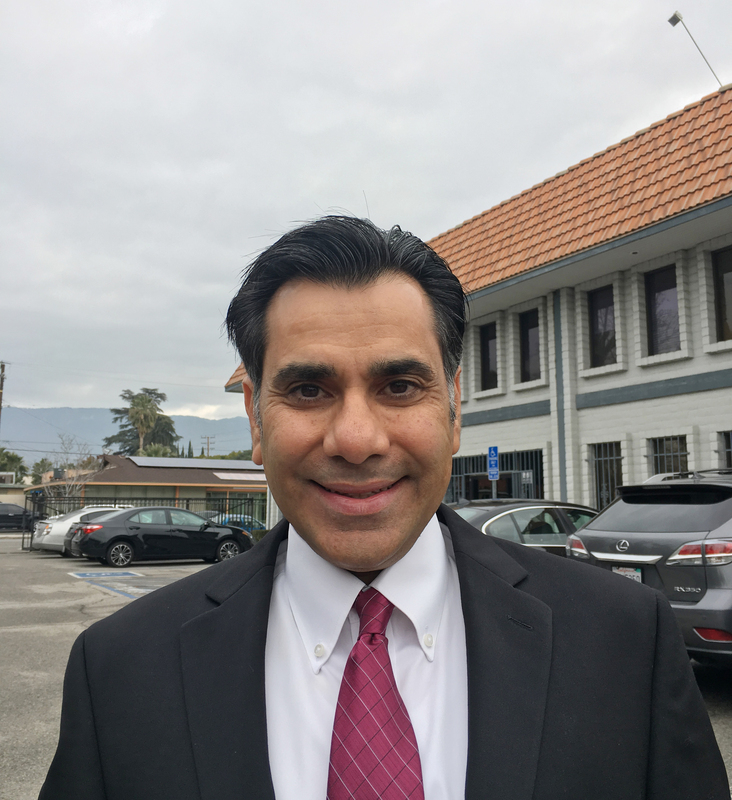 Dr. Arora treats diabetes, hypertension, pulmonary diseases, sleep disorders, dementia, stroke, and hospice. Dr. Arora also does physicals. Patients who have shortness of breath receives pulmonary function testing. These tests help measure lung volumes, air flow rates and diffusion capacity of the lungs. Patients with sleep disorders receive sleep studies. The sleep study helps diagnose the cause of the sleep condition. Patients with abnormal shadows on their X-rays receive high-resolution cat scans of the chest. 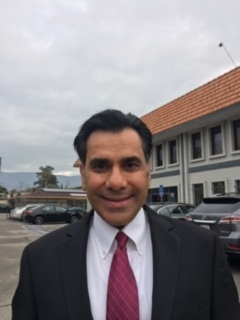 Dr. Arora treats asthma. These patients are taught correct use of metered dose inhalers, peak flow meters. The peak flow meter helps patients with asthma monitor their own disease. Dr. Arora treats smokers and helps them quit smoking if they want to with medications and mindfulness. Mindfulness:Dr. Arora teaches mindfulness to treat insomnia, anxiety, low energy, improve concentration and general well-being. Mindfulness is easy to learn. It improves relationships. Obesity hypoventilation syndrome: Patients with obesity hypoventilation syndrome and high carbon dioxide levels can benefit from non invasive ventilation.Our office evaluates patients for this treatment. COPD patients:Patients with COPD and high carbon dioxide levels can benefit from non invasive ventilation.Our office evaluates patients for this equipment. CPAP users: It is important to have a CPAP device that provides objective evidence of use and measures the percentage of air leaks. This information is important to help treat obstructive sleep apnea effectively. If your device does not have this capability, contact your physician or DME provider. The older devices did not have this capability. Leaks can be caused by poorly fitting mask, mouth opening, or mask dislodgement. Until the mask leak is addressed, the device is not working effectively. 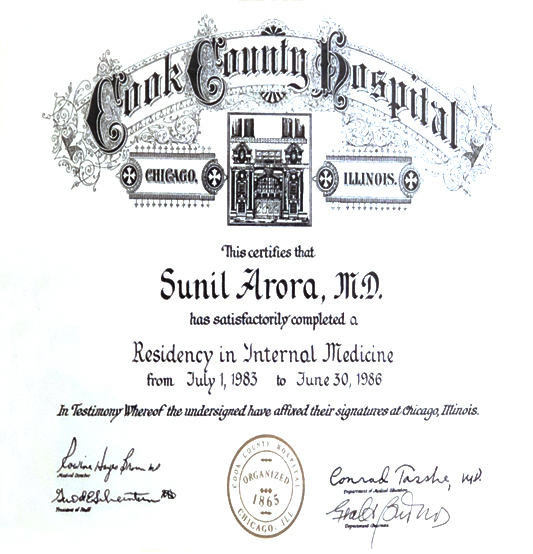 Immigration physicals: Dr Sunil Arora is designated a Civil surgeon by the USCIS. He has helped many immigrants with their exam. He is trusted by Immigration attorneys. The office staff speaks English, Spanish, Cambodian, Indonesian, Korean, Tagalog, Thai, Hindi and Punjabi. Same day appointments are available for urgent matters. Report is ready in two to three days. The office is approved provider for INS 693 immigration physical medical examination for aliens seeking adjustment of status or permanent residency (Green card). Department of Transportation Physicals (DOT Physicals): Dr. Sunil Arora is a Certified Medical Examiner by the National Registry FMCSA. The DOT physical covers a vision, hearing, blood pressure/pulse rate, urinalysis and physical examination. Same day appointments are available. Psychiatric illness: Many people including children are on psychoactive medications that are not necessary. It is very important for physicians to wean these medications when appropriate. Attention deficit hyperactivity disorder is over diagnosed and over treated. Asthma: Remember to ask your doctor to show you to correctly use your inhaler. The correct technique improves the amount of drug delivered to the lower airways. It is important to inhale slowly when using the inhaler because this allows the medication to reach the lower airways. Inhaling quickly causes the medication to get deposited in the upper airway, thereby wasting the medication and producing unnecessary side effects. Also remember to get a peak flow meter. Peak flow meter tells one about the diameter of the airways. It is very useful. It will lower your chances to get an exacerbation, if the test results are treated proactively. Diabetes: the cornerstone of treatment is diet and exercise. The diabetes medications is not the first line of defense. It is worthwhile for every diabetic to use their time and effort to develop expertise in diet. There is a wealth of information online regarding diet. It is better not to rely on anyone but yourself to develop this expertise. This time and effort pays huge dividends. Do you know if you have dawn phenomena? Let us talk about this. Is your diabetes due to insulin resistance or is it Type 1.5. Let us find out and treat you effectively. Holistic health: Dr Sunil Arora works well with alternative medicine practitioners to optimize your health. Western medicine is compatible with other alternative fields of medicine. Good communication between your Western physician and alternative practitioner is important to provide maximal benefit to you. These fields are Acupuncturist, Tai Chi or Qigong instructor, Yoga instructor, Massage therapist, Reiki practitioner, kinesiology and movement therapy instructor, Ayurvedical medical practitioners, biofeedback practitioner etc. We may refer you to one of these practitioners if appropriate. Food: Hippocrates said, “Let food be thy medicine and medicine be thy food”. We have forgotten this truth. 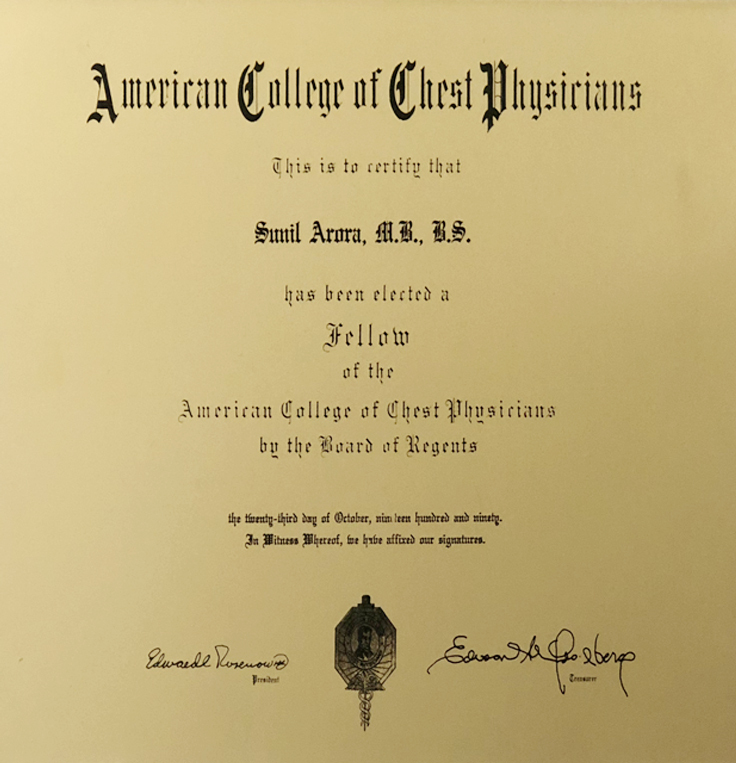 Dr Sunil Arora has expertise in this field. Healing: Each of us has an inherent power to heal ourselves. Living a healthy lifestyle includes eating a healthy diet and exercising regularly. Eating fresh fruits, vegetables and decreasing animal meat intake goes a long way in the healing process. The Sun has healing power. We need sunlight on a daily basis. Looking at the stars at night even for a short time is very helpful. Hatha yoga keeps the body healthy, calms the mind and reduces stress. Hatha yoga is not like any other exercise. Hatha yoga has a spiritual aspect. Mindfulness changes the brain structure and function in a beneficial manner. Mindfulness improves memory and concentration. Mindfulness is anti-aging. Eliminating negative thought patterns are essential in the healing process. Criticism and complaining are enemies of the healing process. They are both cancers. The criticism cancer and the complaining cancer. Let us get rid of both now! Forgiving other and ourselves is required for complete healing. Prayer has the power to heal. All religions have the power to heal. The power of prayer is directly proportional to faith. Receptivity to the healing power is also necessary for healing to occur. Let us use medications and other Western medicine treatments with all the other methods of healing ourselves.